High-growth stocks draw the lion's share of the attention in financial media. These securities usually show higher levels of volatility and often represent the future of the American economy. Today, these equities often revolve around new technologies like AI, VR and the Internet of Things (IoT). However, concepts that we might consider "new again" also draw this interest. Due to decades of suppression, cannabis has become one of these areas. Also, judging by the performance of Chipotle (NYSE:CMG), even equities revolving around fast food can turn into high-growth stocks with the right approach. Drug equities don't often make lists of high-growth stocks. AbbVie (NYSE:ABBV) formed in 2013 when it split from Abbott Laboratories (NYSE:ABT). It constitutes what was once Abbott's pharma division. ABBV stock has suffered in recent months as its old blockbuster drug, Humira, faces patent expirations in many countries. 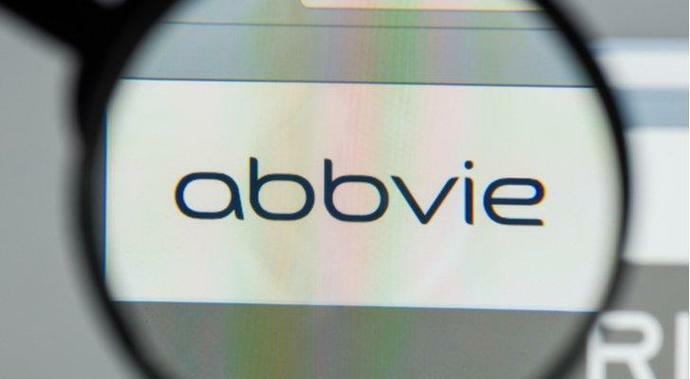 However, AbbVie's drug pipeline has received favorable reviews. For this reason, most analysts believe that a new drug or a combination of future best sellers will more than replace the income lost from generic versions of Humira. ABBV also offers one key benefit stemming from its former association with Abbott - dividend aristocrat status. Walking away from its 46-year streak of payout hikes would put ABBV stock at risk. Hence, one can assume the increases will continue. Their board also approved a 40% increase in 2018 and a 19% hike for this year. Given the pressure to raise dividend payments every year, this is a remarkable show of confidence. Moreover, thanks to a lower stock price and higher dividends, the yield now stands at 5.4%. With its $800 billion market cap and massive slide last fall, Apple (NASDAQ:AAPL) might seem like a strange choice for a high-growth stocks list. Indeed, both the stock and the earnings projection saw a considerable move lower as iPhone sales fell well short of initial estimates. Also, laws of mathematics weigh on growth. An increase in AAPL's market cap of just 10% would mean $80 billion in growth, eight times the minimum size of a large-cap stock. I normally would not place an equity with a 51.5 trailing P/E ratio in the "cheap" category, but compared to peers in the cannabis space, CannTrust (OTCMKTS:CNTTF) remains inexpensive. Although one can place almost every marijuana equity in the "high-growth stocks" category right now, CannTrust stands out with its consistent profitability. However, a great deal of anticipation surrounds its 5G-capable Snapdragon 855 chip. Carriers have begun to launch 5G networks, and most expect 5G capable phones to see a wide release beginning later this year. While QCOM's chip will not appear in the iPhone, makers of Android-powered smartphones have shown an interest. As a result, analysts believe that profit increases will again see double-digit increases beginning in 2020. After years of profit declines, Wall Street predicts that annual growth will average 10.7% per year over the next five years. This will occur just as the company's forward P/E ratio falls to around 11.6. Despite this growth, Spirit, like other airlines, has struggled to achieve higher P/E ratios. This may explain why its multiple is only slightly higher than slower-growth airlines such as American (NASDAQ:AAL) or Delta (NYSE:DAL). SAVE's forward P/E currently stands at around 9.6.